Whilst it’s always fun to dance at a club, we think you’re going to have an even better time on a little dancing vacay. Take those passports outs because you’ll be booking flights after this post! Check out some of these festivals around the world where you can dance your heart out. Pronounced “Car-na-val”, this has got to be the most famous party in the world. Whilst dates vary according to the end of the Lent observed in Brazil, Carnival starts Friday 1st March 2019 – Saturday 9th March 2019. This week-long party will be filled with street parties perfect for dancing. But the biggest party of all will be the Sambadrome – a samba parade and competition that takes place on the last day of Carnival. Dance along with the participants to the percussive music and be taken away by the epic (there’s no other way to describe it) costumes on display. Make bookings for this never-ending party early so you don’t miss out! Another party where you’ll need to master some pronunciation – “Mar-dee–Gra” is an event celebrated in French – Cajun influenced New Orleans, United States. Dubbed by New Orleans as the “Greatest Free Show In the World”, Mardi Gras is a free event to witness and you’ll be showered with beads and throws by revellers or if you choose to attend the Official Mardi Gras Parade on St Charles – essentially you’ll be walking away with free souvenirs! Whilst Mardi Gras has a reputation for being a massive party, it is also child-friendly and many locals have been bringing their children to celebrate Mardi Gras for years. Connected to Lent, dates vary to be sure to book tickets accordingly. New Orleans is the birthplace of jazz so this is a chance to dance you don’t want to miss! Ah, what’s more romantic than a Venetian Carnival or better known as Carnevale di Venezia? Well, add a little mystery to it with ornate masks and you’ll probably find the love of your life during the Carnival of Venice. Celebrated yearly, this carnival is known for the lavish balls and masquerade events held during the period. Invitations to these formal dance balls come at a rather steep ticket price so if you’re looking for a cheaper alternative forgo these events for street parties and parades that will be held for a whole two weeks. Masks are a must and the more ornate the better! – After all, a little mystery never hurt anyone. What could top the beautiful white beaches of Goa, India? An EDM festival in December where the weather gets to a warm 33 degrees Celsius in the daytime and cools down to 22 degrees Celsius by nightfall. 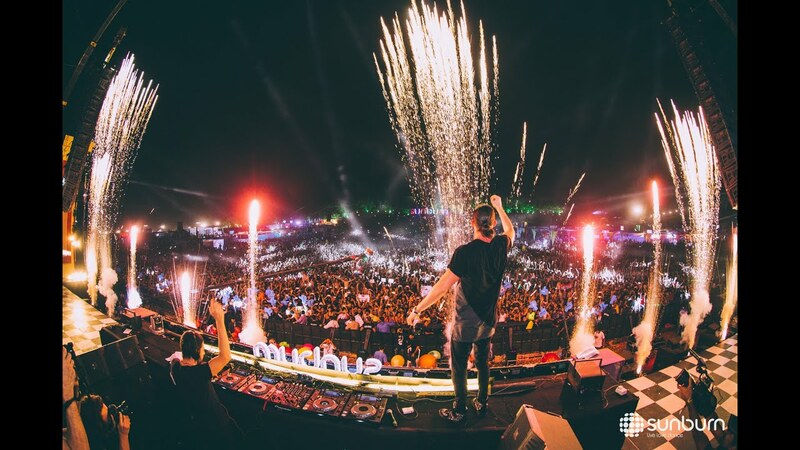 In its 12th year, Sunburn Festival has attracted over 350,000 people and major performers such as Avicii, Hardwell, Martin Garrix and Paul Van Dyk. Not only does this music festival allow goers to dance the night away to amazing beats, visitors will get to visit the historical town of Goa. Take a break from dancing through the night by enjoying their beaches, churches and heritage throughout the day or simply nurse that hangover and work on that tan. Whatever it is, know that a beach holiday inclusive of an EDM party could never be a wrong choice. We know, we know – how dare we put EDM’s motherland as number 2 – but we did, so let it go. You’d have to be living under a rock if you’ve not heard of Tomorrowland – a two-weekend music festival in Boom, Belgium celebrating electric dance music. With their immense and theatrical stages, Tomorrowland whisks you away to another dimension where EDM, dancing, food and fun are all that matters. This year’s headliners include big leagues such as Steve Aoki, Martin Garrix, Dua Lipa, Armin van Buren and Alesso and this is just part of the list! With Tomorrowland this July, most tickets have sold out so you’ll be lucky to get your hands on some. Not to fret, this year Tomorrowland is launching Unite where those in Abu Dhabi, Italy, Lebanon, Malta, Mexico, Spain and Taiwan get to enjoy Tomorrowland too with their own acts plus a live stream of the Tomorrowland Main Stage from Belgium. Get those fist pumping people. Party. Singapore to Phuket. 4 days, 3 nights. Luxury cruise. Need we say more about It’s the Ship – Asia’s largest party on the high seas and there’s nothing like it. This is number one on our list for proximity and affordability. This massive party is a no-brainer for those who want to party it all out whilst listening to the best EDM there is to offer. With past lineups featuring beasts like the Far East Movement, Krewella and Dada Life, we expect even greater acts for their fifth birthday this coming 4th to 7th November. If the party life starts to take its toll not to fret, the cruise ship features opulent amenities such as beauty parlours, shopping areas, clubs, gyms and restaurants. Just imagine, you could go rock climbing whilst sailing on a ship. Book tickets early to ensure that you don’t miss out on this rager. So, what’s next on your bucket list? Tell us in the comments section below! And if you’re planning a dance party somewhere around KL and are on the lookout for a kickass venue? Check us out at www.venuescape.my or call us for immediate assistance at +6016-7200 347 and let us suggest some suitable venues for you.